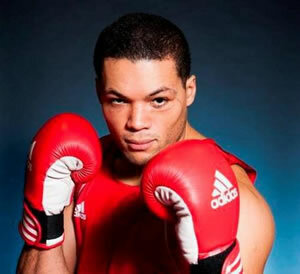 Putney based super-heavyweight, Joe Joyce has won a bronze medal at this year's European Amateur Boxing Championships in Minsk, Belarus. The 27 year old who trains at the Earlsfield Boxing Gym was at his first major tournament after only four years in the boxing game. He was studying fine art at Middlesex University when he first went to the gym on a summer break looking for a way to keep fit. After winning the ABA championship last year he quickly progressed to the national team. In Minsk he started with a win against a Serbian opponent, then defeat of Georgian boxer, Mikheil Bakhtidze, guaranteed a bronze medal for Joe in his first major championship for GB Boxing. In an open contest, Joe used his superior size and reach to open up his opponent. He got stronger as the bout wore on, and Bakhtidze was left in no doubt of his superior fitness in the final round as Joyce peppered him with painful shots to ease home to a comfortable victory. He was disappointed with a semi-final defeat at the hands of Russian boxer Sergey Kuzmin, who knocked him out after 49 seconds. He says he was called to fight earlier than scheduled and hadn't finished his warm-up routine. His opponent forced him to take an early standing count. He followed this up quickly with a straight right that put Joe down and the referee decided to bring the bout to a close. It wasn't the end to the tournament Joe had hoped for, but a bronze in his first major tournament is a good sign of things to come for the Putney boxer. Joe is now looking towards the World Championships in Kazakhstan later this year and beyond that the 2016 Olympics in Rio where he is confident of success.